Home Games News Politics "Tsip Bato Ang Bumangga Giba" Game App Launched! 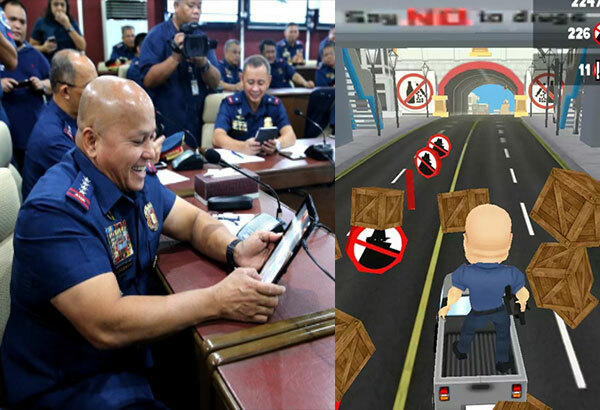 The Philippine National Police (PNP) launched yesterday, August 8 2016 a mobile app game featuring the newly installed PNP chief, Director General Ronald "Bato" Dela Rosa. The endless runner game allows you to catch criminals (in green masks), while avoiding obstacles like pedestrians and other vehicles. You can move the character by swiping on your phone screens. Aside from the character of Bato, the game also features a character with the likeness of President Rodrigo Duterte. “Tsip Bato: Ang Bumangga Giba!” was developed by Filipino software firm Ranida Games in cooperation with the PNP. It aims to teach kids to say no to illegal drugs. Dela Rosa personally played the game during the launch. Check out the photos shared by the PNP's social media account.